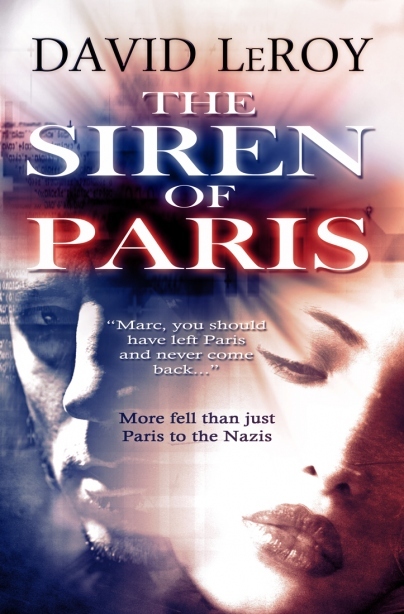 Author and blogger Dianne Ascroft interviews novelist David LeRoy, who talks about his first novel, The Siren of Paris. LeRoy did extensive research for this book about the German occupation of France and the French resistance. In this interview, he explores the process of creating a historical novel. He describes how he did his research. He also discusses the art of combining fact with fiction and how he helps readers vicariously experience what living through World War II in Europe was really like. Overall, I tried my utmost to use real historical events in this story to give the reader the feeling of experiencing World War Two. Sometimes those facts do not synch up with our expectations. I did not know that many of the arresting agents for the Gestapo in Paris had no guns and just ran around with briefcases like traveling salesmen wearing civilian clothes. Our imagination wants to have a tall proud German in a SS Uniform with a machine gun, not a briefcase full of papers.